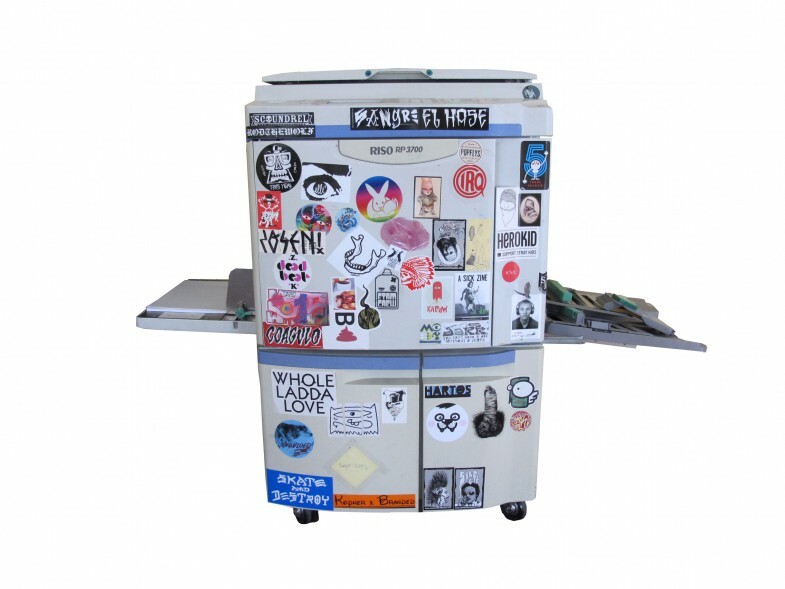 We’ve been printing a lot with this machine and like to see how artists interact and deal with the characteristics and limitations of RISO printing. We seek to meet and print a variety of styles and interesting designs & artists! ‘Risograph duplicators were originally created for office & commercial use to produce large volume one or two colour documents at high speed. But the rich spot colours are also ideal for creative graphic arts applications and the prints have a wonderful look and feel which is quite unique. ♺ Riso inks are soy based and the screens (masters) are made from banana paper. The machine is highly energy efficient and almost all house papers are recycled. We couldn’t have done a better job in explaining HOW TO PREPARE ARTWORK FOR RISO PRINTING so just have a look at A PERFECT HOW TO by Risotto Studio. It has everything you need to know to get your design ready for print. Get in touch to get a quote that fits your project. For artist prints, posters, flyers, … we have a system that works with a startupcost. For books and other bigger projects we work with a fixed price/day. 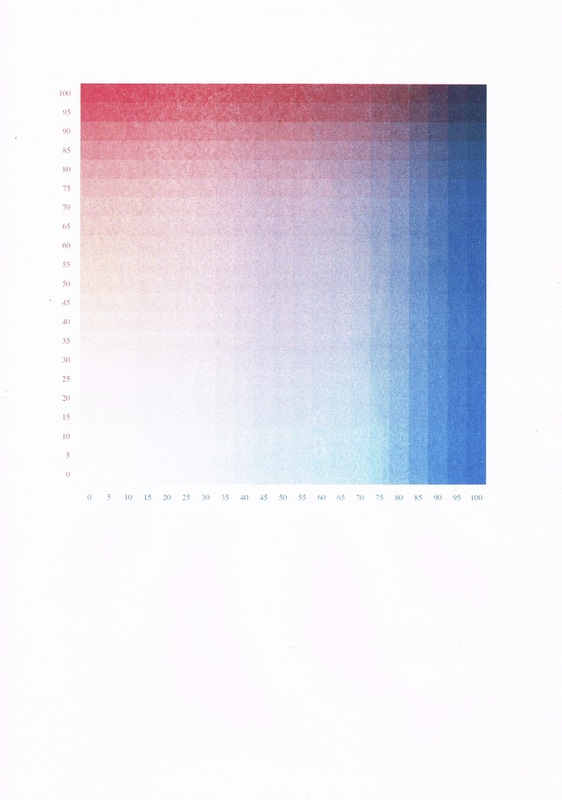 The RISO colors are not 100% opaque so they are easily blended to make new colours. As well as blending the 100% tones of the colors, it is also possible to blend any combination of tints together to produce color variants. A third color can be easily made out of combining two colors. Photographic reproductions are possible by printing with a variation of YMYK.